Suicide or Murder? Clairvoyance or a Mother’s Intuition? The key issue involving the death of James Sutton, (below) a 22-year-old newly commissioned second lieutenant in the Marine Corps, was whether or not he had committed suicide. The other possibilities were that he was murdered by fellow officers, that he was shot in self-defense by the fellow officers, or that he accidentally shot himself while engaged in a brawl with one or more of the other officers. The case grabbed national headlines around the country, from the New York Times and Washington Post to the San Francisco Chronicle and Portland Oregonian. 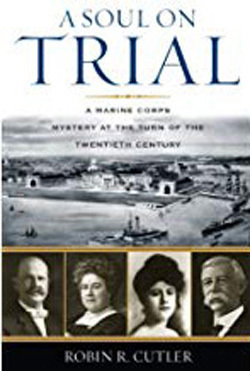 It involved politicians, the Secretary of the Navy, America’s only Catholic cardinal, high-ranking military officers, and distinguished lawyers and doctors. 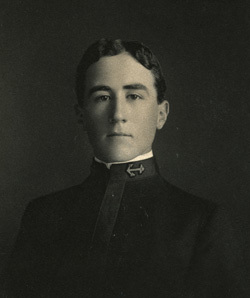 Sutton’s death took place on the grounds of the Naval Academy at Annapolis, Maryland, then the basic school for marine officers, in the early morning hours of October 13, 1907. As he returned to his barracks with three fellow marine officers, after a night of socializing and drinking, Sutton was involved in an argument with one or more of them and an altercation resulted with shots being fired. It all ended with Sutton being shot in the head as one or two of the fellow officers reportedly pinned him to the ground. The statements made by the three fellow officers and others who came upon the scene were confusing and conflicting, but the board of inquest concluded that all the evidence was reliable and pointed to death by suicide, even though the trajectory of the bullet into the side of Sutton’s head above the right ear would likely have required him to pull the trigger with his thumb, unless, as one expert testified, he had been a contortionist. The possibility that he tried to shoot the person pinning him to the deck while using his thumb to pull the trigger also looms as a very reasonable possibility. And so began Rosa Sutton’s two-year legal battle with the Navy Department to clear her son’s name. Indications are that there was a deeper reason for her crusade than simply setting the record straight and erasing the stigma of suicide. “As a Catholic, Rosa Brant Sutton believed suicide was a mortal sin,” author Robin R. Cutler explains in the Prologue of her book, A Soul on Trial, published by Rowman & Littlefield. “If the navy was correct, Jimmie would spend eternity in hell with no chance of being reunited with his loved ones.” Moreover, Jimmie’s admission to purgatory and then heaven, rather than hell, required, in Rosa’s mind, a priest to consecrate his grave at Arlington National Cemetery, something a priest was not allowed to do in the case of a suicide. It seems strange that Rosa, described by an investigator as “shrewd” and a woman of “unusual intelligence,” would assume that a celestial judge would render justice based on the verdict of a terrestrial board of inquest. Seemingly, a celestial judge would most certainly know the true facts and direct Jimmie to the proper station in the afterlife without regard for the terrestrial finding. But Rosa, like many others of that time, apparently did not question Church dogma and doctrine. Even before Jimmie’s death, and considering the three-hour time difference between Annapolis and Portland, Rosa sensed something was wrong with Jimmie. At about the time of his death, or shortly before, she felt as if a knife had struck her in the heart and cried out to her husband and two daughters that something had happened to Jimmie, after which she retired to her room and prayed. Rosa reported Jimmie coming to her in different ways in the weeks following his death. Was Rosa Sutton delusional or was she really seeing and hearing from her discarnate son? In 1910, three years after the death of Jimmie and after his remains had received a proper Catholic burial, Rosa contacted Professor James Hyslop, who headed up the American Society for Psychical Research, and requested help in understanding what was going on with her visions. 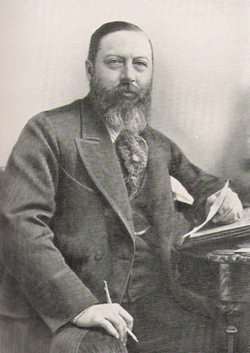 Hyslop sent an investigator, George A. Thacher, who lived near the Suttons, to determine if she actually had psychic or mediumistic abilities. Family members, including her husband and daughters, confirmed her visions and words on the night of Jimmie’s death and the next day as Jimmie told her of his innocence. Thacher reported that the family members, including two of Rosa’s sisters, had been accustomed to Rosa’s premonitions and visions over the years and had shrugged it all off as just so much “happy-hearted nonsense and chaff,” while Rosa, herself, didn’t know what to make of it. Moreover, as good Christians, all members of the family saw anything resembling Spiritualism as repugnant to them. Rosa told Thacher that when she lived in Los Angeles, some 20 years earlier, her mother, who lived in Vancouver, Washington, appeared to her several hours before she received a telegram notifying her of her mother’s death. Before that, in 1884, she had a “knowing” that something had happened to her 18-year-old brother, Albert. As it turned out, Albert had died that day. That night, Albert came to her while she was sleeping and told her that her house was on fire. She assumed it was nothing more than a dream and attempted to go back to sleep. She then felt a touch on her shoulder, heard some noise in the house, and realized her house was actually on fire. Rosa had a number of other visions and premonitions over the years, but they were nothing more than curiosities to her and irritations to her husband and some of her family members. James, her husband, saw it as simply a “mother’s intuition” of some kind, even though she had such visions not involving her children. Perhaps the most veridical vision came on December 16, 1910 when Thacher arrived at the Sutton home to interview Rosa Sutton. She told him that she had a dream or vision that very morning in which she saw a coffin. As she stepped up to the coffin, she saw the smiling face of Sister Dorothy (actually, Sister Dorothea), who had been her teacher, as well as her sister’s teacher, in Catholic school in Vancouver more than 30 years earlier. Her sister, Mary, was especially close to Sister Dorothy. Both Mary and Rosa were under the impression that Sister Dorothy was dead, and the purpose of the vision was unknown. But then, nearly three weeks later, on January 4, 1911, the Portland Oregonian carried a notice and photo of Sister Dorothea, reporting that she had died the previous day, on January 3. Thacher concluded that this was some kind of premonitory-type vision and that there was absolutely no deception on the part of Rosa or her sister. Rosa attended the funeral of Sister Dorothy and told Thacher that the coffin and room corresponded with those she had seen in her vision. When Jimmie’s personal belongings arrived back home in Portland in a trunk, his watch was there with the crystal shattered. It had stopped at 1:15, believed to be the time of his death. As Rosa held the watch, it began ticking and stopped after three minutes. “Jimmie says that’s how long I suffered,” Rosa told her daughter, Rose, who replied, “Mamma, you have lost your mind.” The watch started up again and ran for two minutes. “That’s how much longer I lived,” Rosa relayed Jimmie’s words. The watch was taken to a jeweler, who had a difficult time restoring it to working order. It was given to another son, who reported that it stopped at 1:20 every day for about a year before being further repaired. In addition to the shattered watch, Rosa’s visions were given some credence by the fact that the autopsy showed that Jimmie’s face was badly beaten, including the forehead and the lump under his left jaw, independent of the gunshot wound to the right side of his head, and the epaulet was missing from his military overcoat. Also, his head had a large bandage wrapped around it before his first burial. Needless to say, Rosa’s visions were not admissible in the military court of inquiry that took place in 1909 in Rosa’s extensive efforts to have the suicide verdict overturned. Thacher and Hyslop concluded that they were veridical to a certain extent, but there was no way to tell how much her memory and those of family members had distorted the visions. 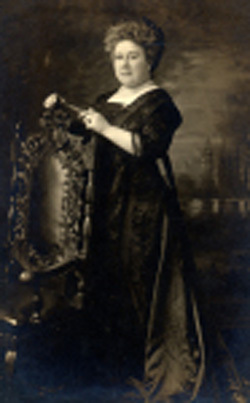 Hyslop gave considerable weight to the possibility that the two names, Adams and Utley, were filled in by Rosa and family members to fit facts later developed. Her words, agreed to in substance by family members and others interviewed by Thacher, were not likely verbatim and only recalled and recorded in general at a later date. If those two names actually came through on the first and third days following Jimmie’s death, before the Sutton family had become aware of the circumstances and the other officers involved, it would certainly have added some strong evidence for psi or extra-sensory perception, even if not admissible in court. Of course, a defense counsel would likely argue that Jimmie had mentioned those names in the many letters he had written to his family, possibly even commenting on differences he might have had with his two fellow officers, thereby leading Rosa to associate those names with her visions. The head injuries not associated with the gunshot wound, the bandaged head, the damaged watch, the missing epaulet, along with Rosa’s many other experiences attested to by others but not taken seriously by them, or even by Rosa, all suggested that Rosa had clairvoyant abilities of some kind. Although it is not a particularly strong case for such ability, it is certainly a very interesting and intriguing one. It should be noted that the Catholic Church has changed its position on the fate of the suicide in the afterlife in recent years. According to the Catholic Education Research Center website, fear, force, ignorance, habit, passion, and psychological problems can all impede the will of the person and therefore the person may not be fully responsible or responsible at all for taking his or her life. Thus, it is in God’s hands as to how the person is judged and only He can provide the opportunity for salutary repentance.